When it comes to insuring yourself, whether it be from an estate planning perspective or simply to protect your loved ones in the event of premature death during your income earning years, it’s a no-brainer. However, purchasing life insurance on the life of your child is often dismissed. Generally, this is because the thought alone from a parents perspective is rather, well, morbid. Tax-free death benefit - Perhaps the most commonly known benefit to insuring your child is the fact that during a potential family tragedy parents will receive a lump sum tax-free. However, for most parents this isn’t reason enough and the thought of insuring their child based solely on this point alone is rather unpalatable. Lock-in the affordable rates for life – If you’ve purchased insurance recently then you’re probably aware that your age had a significant effect on your current insurance premium. The younger your child is the greater the opportunity they have to lock-in rates at an extremely affordable price where the premiums can be guaranteed for life. An extremely valuable gift – Many individuals recognize that the likelihood of premature death is low, however, life insurance policies particularly with large coverage amounts can be a valuable gift down the road. Not only has the parent been wise enough to lock-in the rates cheaply, but by taking out a large coverage amount that can stand the test of inflation, they’ve given them an extremely valuable gift that can be used to protect their children’s family and interests. Remember, as parents you can transfer ownership of the policy to your children when they are capable of paying the policy themselves. You are simply giving them the best opportunity to take advantage of their good health and maximizing wealth accumulation inside their policy. Take advantage of their good health today - There is no certainty with respect to our health. The fact of the matter is many of our children will one day be uninsurable at some point in time. Thus, it isn’t just the fact that they are young that matters. Insuring their current health today is equally important. In fact, if you haven’t purchased a sizeable enough benefit to cover your child’s future needs, some riders (add-ons) exist to allow your child to purchase additional amounts of insurance without having to provide evidence of good health (insurability) at pre-defined points in their future. Lifestyle bonus - As your child matures some insurance companies will reward them for having healthy lifestyles. Industrial-Alliance for instance has a non-smoker bonus in some of their policies. This feature, upon evidence of insurability, will automatically increase the face amount of your child’s coverage if they have proven they are a non-smoker. The coverage is guaranteed at no additional cost to the policy owner. A valuable asset - We’ve written about insurance as an asset class previously. The young age of your child will allow the greatest opportunity for overfunding in the case of universal life insurance because of the low cost of insurance for your child. Parents who own universal life policies for instance on their children are afforded the opportunity to grow and transfer wealth in the tax deferred environment of their contract subject to provisions in the Income Tax Act. What’s more is that there will be no tax consequences when you transfer the policy to your child. Protect them against illness too – One essential feature in many children policies today is the ability to protect them in the event of a critical illness. There are many hybrid products on the marketplace that will not only insure your child’s life for all the reasons above, but also provide a living benefit in the event that they ever become sick. For example, Industrial-Alliance’s Child Life & Health Duo product covers 25 standard illnesses as well as several child specific illnesses such as autism, retts syndrome, and type-1 diabetes. Extremely valuable when you consider autism, which nowadays occurs in 1 out of 88 children, is covered if the diagnosis of your child is done prior to age 3. Unlike life insurance, you can use the tax-free lump sum coverage while your child is living to take time off work to be by your child’s side, pay for expensive therapy’s and experimental medical treatment, pay for respite services, pay for vehicle modifications, etc. 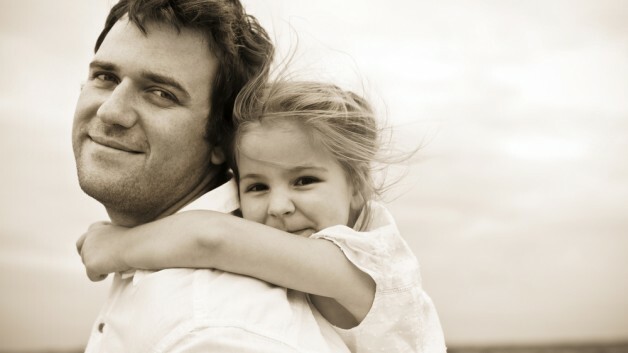 Simply put, insuring your child is a personal choice. Sitting with a trusted financial advisor and your accountant would be a wise first step. Insuring your child is part of an overall financial plan for your family and we shouldn’t dismiss your retirement savings, education savings, etc. However, hopefully we’ve drawn your attention to the fact that insuring your child is more than just receiving a tax-free benefit in the event of their premature death.